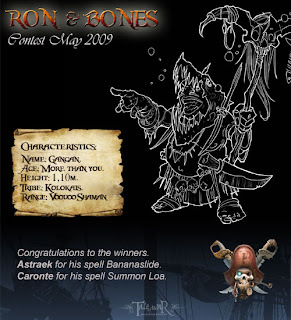 Finally here you can see the final results of the voodoo contest of Ron&Bones. Congratulations to the winners. They will receive a free Voodoo shaman in his house when we arrive in our next port. Thanks to all the captains in the tourament, it was really hard to take a decision.